HE WORE red socks with his tuxedo, ate hedgehogs and was a villain for missing gigs, usually AWOL gambling and sending his brother in his stead. Eccentric as he might have been, the music of gypsy guitarist Django Reinhardt, together with his violinist confrere Stephane Grappelli, remains as exciting today as when it lit up the clubs and bars of 1930s Paris. It’s the music of the manouche, the jazz of the traveller. It speaks of moody firelit campsites and twirling, vibrant gypsy dancers on a moonlit night. Evokes the colours, drama, festivity and intense emotion of the French nomadic life. 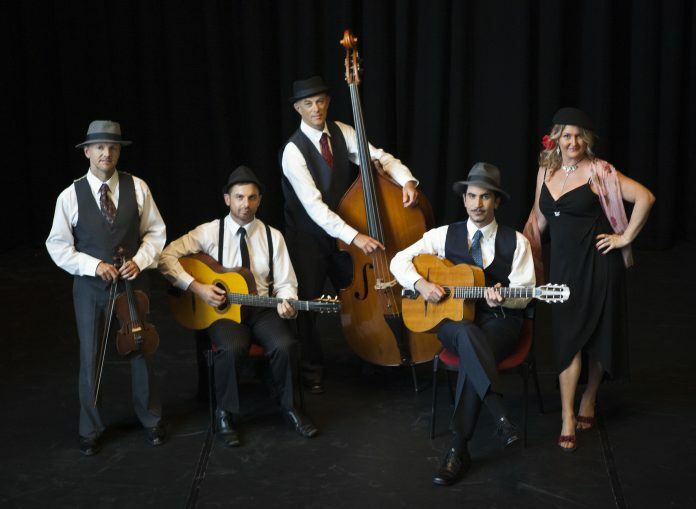 Geelong’s Hot Club Swing, inspired by Reinhardt and Grappelli and their ground-breaking Quintet of the Hot Club of France, have been belting out their elegant musique for nigh on a couple of decades now. Everything from HCQ Strut, Minor Blues and Blue Drag to Limehouse Blues, Tico Tico and Nuit et Jour. Jazz classics like Honeysuckle Rose, Sweet Georgia Brown, Satin Doll and Out of Nowhere. Instrumentals like Indiana/Donna Lee, I Found a New Baby, Topsy, My Melancholy Baby, Si Tu Savais and a host more songs and melodies are contained in Hot Club Swing’s armoury. It’s fair to say the music’s old school romantic but don’t under-estimate the musicianship — gypsy jazz is technically challenging at best . It’s no surprise that when the movie Sherlock Holmes’ music director Hans Zimmer wanted the best musicians about for his score he turned to the Romany gypsies. Hot Club Swing are no slouches, either. 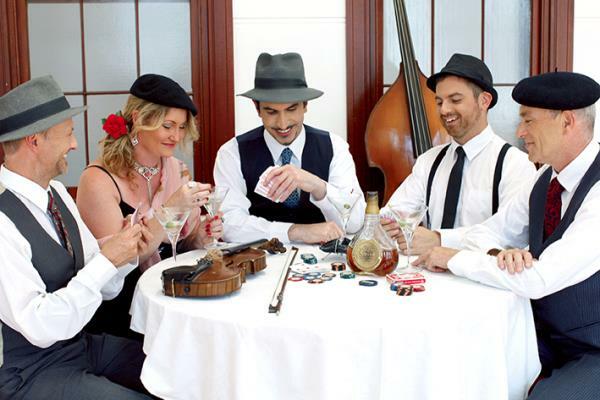 Led by guitarist Ben Calderazzo and violinist Phil Smurthwaite, each wicked practitioners in their own right, the band also features double bass, vocals and more guitars in the more than capable talents of Rob Gador, Nadine Joy and Jeremy Bourke. From time to time, visiting musicians join them with clarinet, mandolin, accordion … HCS are nothing if not adaptable, varied or clever. Band members have played in all sorts of other outfits too, moonlighting with the likes of Chameleon, Bamboozle, The Rhythm Method, Los Romanticos, Billy Tea Bush Band, Yohosie and Canary. This Sunday, they’ll be bringing their Romany romance to Drysdale’s Potato Shed for this year’s Seniors Festival. A tip: you don’t have be a senior to lap up this band’s music. Tickets are $15, includes light refreshments, and available from 5251 1998. Hedgehog is unlikely to be on the menu.